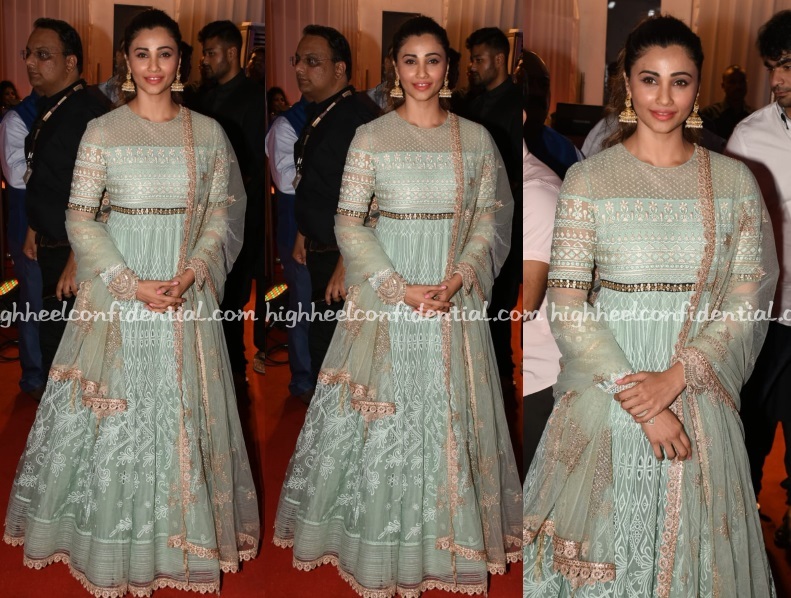 Daisy attended the Siddique Iftar party on Sunday evening wearing a pista colored floor length anarkali by Tarun Tahiliani paired with Amrapali jhumkis. She looked nice. Agree? 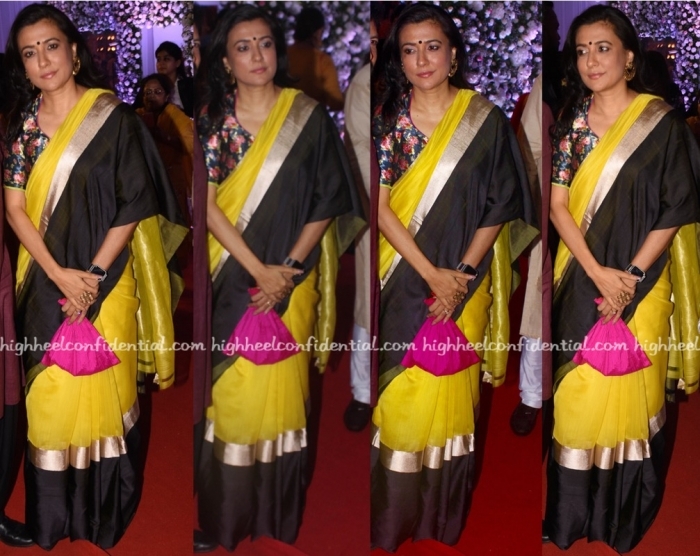 While at an iftar party, Mini was photographed in a silk Raw Mango sari. Pairing the color-blocked sari with a contrasting floral-print blouse, Mini rounded out her look with a bindi, gold-toned jewelry and a pink potli. 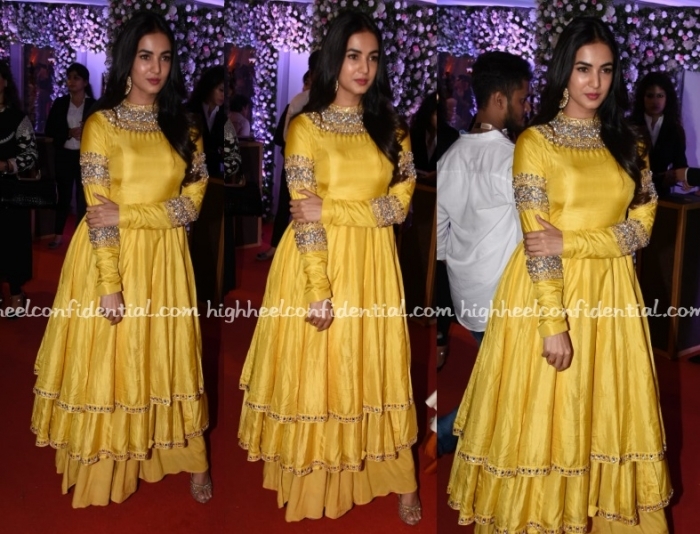 Wearing a Mahima Mahajan anarkali, Jacqueline attended an iftar party in Mumbai. Choosing to not wear any jewelry, the actor rounded out the look with a pair of metallic sandals. Do you think keeping it simple pair off for Ms. Fernandez? 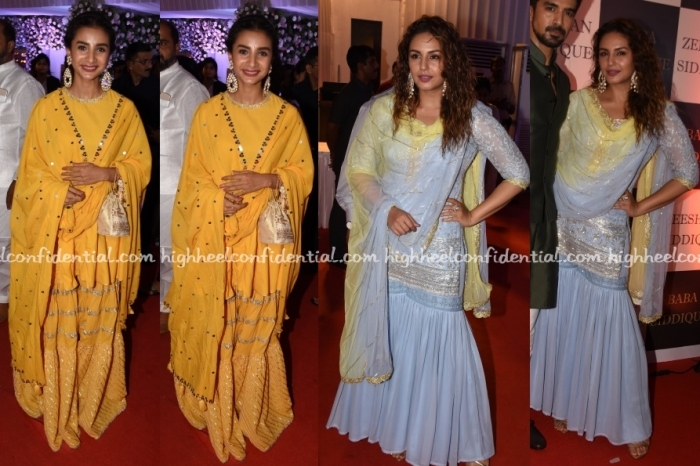 Patralekha and Huma wore ghararas to Baba Siddique’s Iftar party with the former wearing a Sukriti and Aakriti and the latter, a Bhumika Grover. While we loved Patralekha in hers, can’t say the same for Huma. Loved her suit, the frizzy hairdo though, not so much. Not with this outfit at least. For Sonal, it was a yellow Sarita Joshi tiered anarkali and pants, one that she wore with big earrings and her hair down. Between the high-neck and the beaded rings on the arms, this was another anarkali I couldn’t bring myself to like.